Much of the conversation today about crypto is about Bitcoin and currency. But that’s myopic. Soon, we will be talking about how crypto will change the software world. In fact, many founders have already started that pursuit. 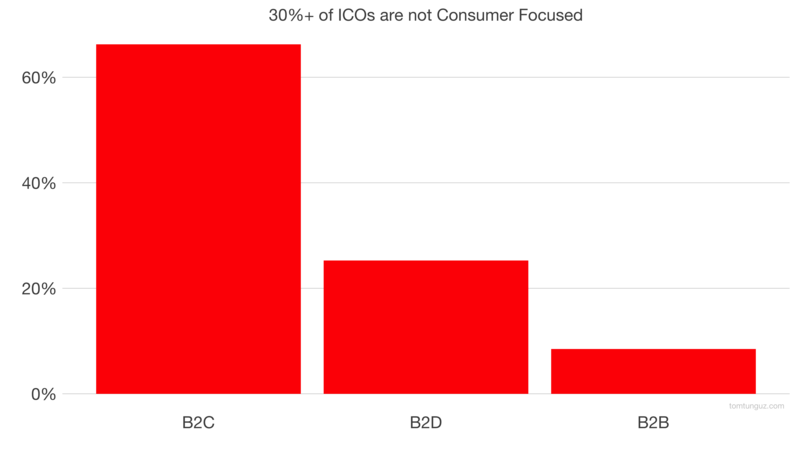 More than 30% of the initial coin offerings (ICO) in 2017 target developers and businesspeople with their products. The numbers are still small. B2B crypto companies raised about $400M of ICO dollars in 2017. B2D companies commanded $1.2B. This distribution reflects the early stage of the ecosystem. The blockchain is a technical advance. Consequently, it should initially appeal to developers more than their business counterparts. The data reflects this. Enterprise software has three layers: infrastructure, platform and application. Today, much of the effort is focused on infrastructure and platforms. Within the 200 ICOs I analyzed, there are tens of next-generation infrastructure players and a twenty or more platforms-as-a-service. Over time, the blockchain’s distributed database will find important applications in business, and funding will follow. 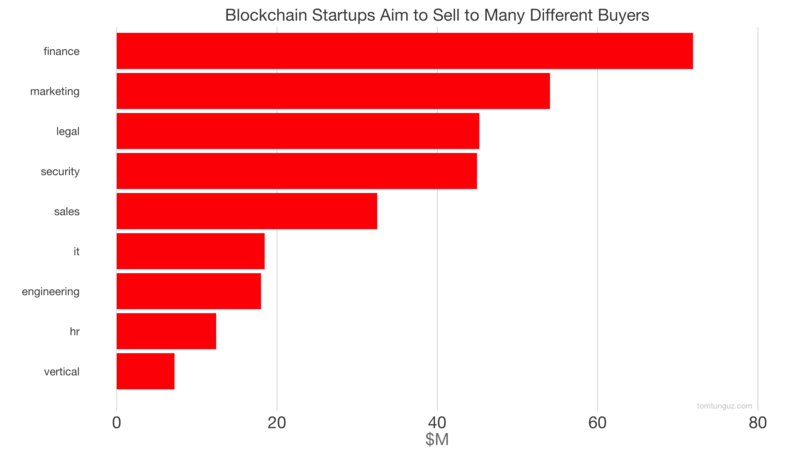 Blockchain startups have already targeted major buyers of software, from email security products to job marketplaces, from legal products to human resources software. Where will decentralized software applications thrive? Wherever there is a need for a shared trusted database. The SaaS wave of the last ten years optimized intra-company operations. Workflows for sales, marketing, product and finance. In contrast, blockchain startups are exploring inter-company applications, processes that involve two or more companies. Some startups enable data sharing across enterprises, permitting a partner to analyze data homomorphically. Others enable email white and blacklists to be shared securely, creating a coalition against phishing. Imagine the next Ariba as a decentralized database of inter-company invoices and purchase orders. Blockchain companies are striving to identify where this novel technology will dislocate incumbents, dislodge budgets and create massive businesses. While today’s focus may be consumer applications, the SaaS world will undergo a similar and fundamental transformation.